I was looking forward to my day off. My husband and I planned on getting chores done and preparing for our sons visit back home next week for Spring Break. Today began with a serious of routine doctors appointments. I had not had an annual in a few years and my husband had to follow up on his vaccinations for his new job. After my appointment I met my husband in the waiting room who surprisingly was being taken care of by two nurses checking his vitals and serving him apple juice. After being poked he stood up, felt light headed and almost blacked out. After two hours of being monitored by nurses and his doctor he was released since he felt a bit better. 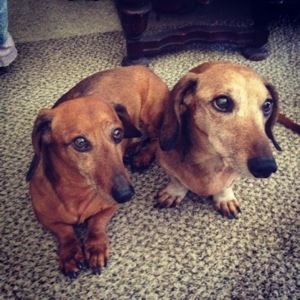 I drove home and we were greeted by our 2 darling dachshunds Joey and Howie. Well actually one was sick as a dog. There were piles of vomit everywhere. Once we realized which one it was, we cleaned up the mess and took Joey outside for some fresh air. He continued to get sick from both ends. This alarmed us because Joey has had some health issues and been on medicine for an autoimmune disease the past year. He was lethargic. Not his chipper self. The disease attacks the good blood cells in the joints causing severe arthritis. 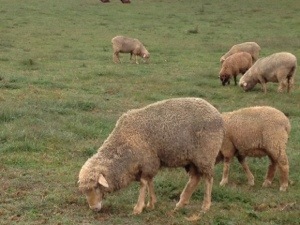 We are fortunate that we live close enough to UCDavis who treats Joey for the disease. We took Joey to the emergency where he was admitted right away. The vet determined it was just a bacteria infection. Phew! No relapse of his autoimmune disease! We all went back home. I felt exhausted. Do you ever think your day is going to be one way and turns out to be a humdinger? Today definitely was that day. After 6 hours of various medical attention and advice, there was only one thing that I know would make us feel better. 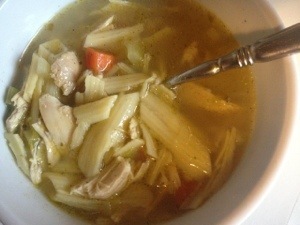 For the dogs, warm rice and for the humans, homemade chicken soup. Lately with my IBS attacks, I make a big pot of homemade chicken stock to use for our weekly meals. It helps keep my gut happy and healthy. As I relax tonight I am grateful that the day went the way it did. It made me think how life is short. I shouldn’t take my health for granted or my family’s for that matter. 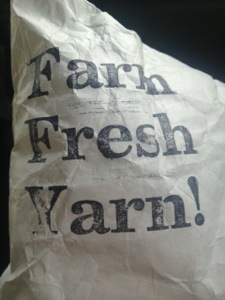 When I checked the mail today I received a package from Juniper Moon Farms.It was my Fall 2012 shares. Perfect timing, on the last day of Winter. This entry was posted in Food, Gluten Free, Knitting, Personal dialogue for a happy life and tagged Chicken soup, Dachshund, Family, GAPS diet, Juniper Moon Farm, Pets on March 20, 2013 by amybailey aka knitsakes.